In New Jersey, if you slip and fall on ice or snow, it’s very important to try to document the conditions that existed at the time you fell. For example, you could take some pictures with your cell phone and you can report it to the police, you can report it to the property owner, but it’s very important that you do your best to try to document the conditions at the time. Also, check around the area to see if anyone plowed, shoveled, salted or sanded, because all of those things are going to be important later as the case develops. It is important to know that in order to file a claim for icy conditions, it must be a reasonable amount of time after the storm has passed. 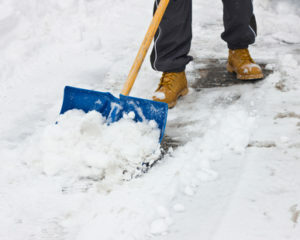 If you slip and fall in the midst of the storm and no one has had time to clear the icy conditions because they are still occurring and getting worse, it isn’t considered negligence by the property owner because it would also be unsafe for them to go clear the conditions during the storm. However, if for example, the storm has been over for three days but their driveway is still very icy and you slip and fall, you will have a case against that person. In addition to this, you must also be aware that you must file your claim within the statutes of limitations that New Jersey provides for personal injury cases. In New Jersey, you have two years after the date of the accident that caused your injury to file a claim. If you fail to file your claim within the statutes of limitations, you will be held responsible to pay for all of your medical expenses and cannot bring a case against the party that is liable.